A hybrid carbon-fiber Euro yacht is set to debut in North America. Adler Yacht is a name that might seem foreign to American boaters. 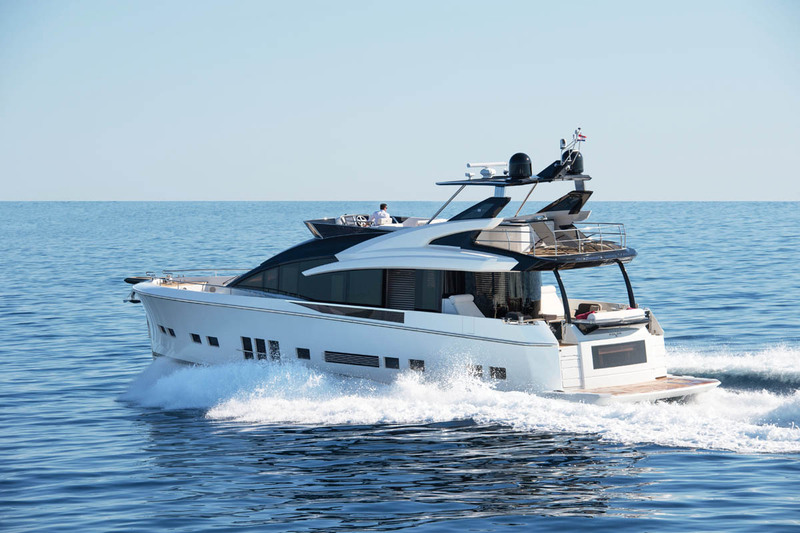 That’s probably because the company is based in Switzerland and its yachts are designed by Italy’s Nuvolari Lenard and built in Italy, and because its new 76-foot Suprema model will make its North American debut at the Ft. Lauderdale International Boat Show this month. Suprema is a full carbon-fiber yacht that uses a Hybrid Marine Solutions (HMS) hybrid engine system. Those two features make it a unique yacht in that it’s the first yacht of its size to have either feature, much less both. Its twin CAT C-18 1,150 hp diesels provide the power needed to reach its top speed of 30 knots, but those big CATs are paired with twin ATE 100 kw e-units that can push the yacht to 10 knots. At 8 knots, the e-units can last up to an hour, and they recharge in just 60 minutes. They come in handy during docking maneuvers too. 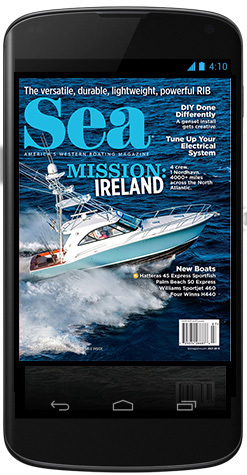 The basic plan calls for three staterooms, with guest rooms fore and aft and a full-beam master amidships, but buyers can select three, four or five staterooms. There’s room for two crew too. The main deck is one level from the cockpit through the dining area, salon and galley to the helm, which includes six LCD touchscreens that can control the entire yacht. 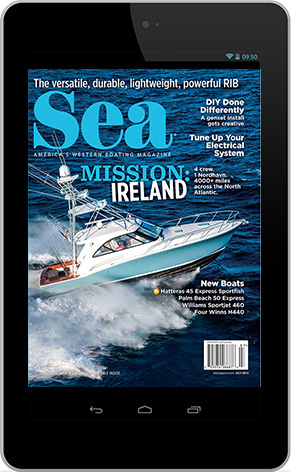 An iPad can be used as a control, too, even when the owner is away from the yacht. The flybridge is big — one of the biggest in its class, the builder claims — and includes twin settees aft of the helm, which houses three big MFDs and is surrounded by lounge seating, and a bar and grill aft of all that. The aft third of the bridge is covered by a hardtop. 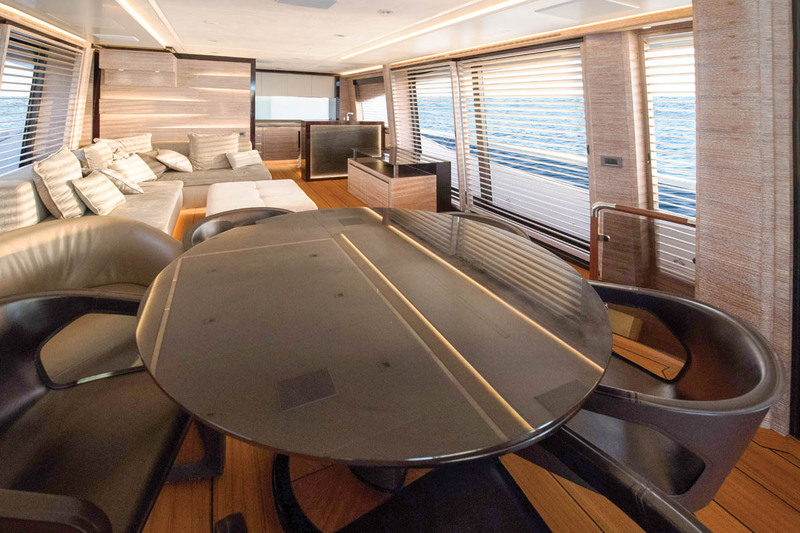 Added touches include under-floor heating on the main deck and in the belowdecks heads, showers on the flybridge and swim platform, infrared heating in the cockpit and chilled cupholders. LOA 75 ft., 10 in. Beam 19 ft., 8 in. Draft 5 ft., 8 in. 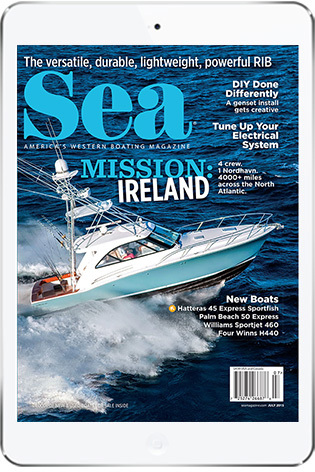 This entry was posted in Snapshot, New Boats and tagged motoryacht, motor yacht, Adler Yachts, Adler Yacht, Adler Suprema by bsheehy. Bookmark the permalink.